Availability: Free shipping gets Envy Simone to your door in about a week. 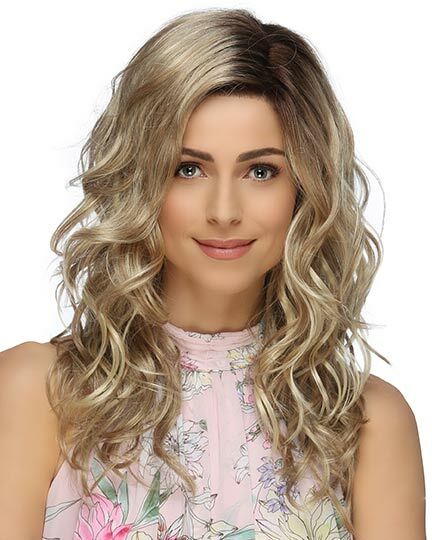 Front: 6.5", Crown: 17.0", Side: 17.0", Nape: 18.5"
Simone by Envy Wigs, designed by Alan Eaton is a long, softly layered around the face style for those who love long sleek hair. The lace front construction offers a more natural hairlines and styling flexibility with the long bangs. Simone features Alan Eaton wigs �stretch cap technology" allowing the perimeter of the wig to stretch for the most comfortable fit while eliminating those unpleasant pressure points. There are 22 colors available for Simone. If you would like to discover other products that share some of Simone's qualities try the links below.